Why does this happen in golf? Nearly ALL THE TIME? Unlike like football and basketball the best player doesn’t always dominate on the field. 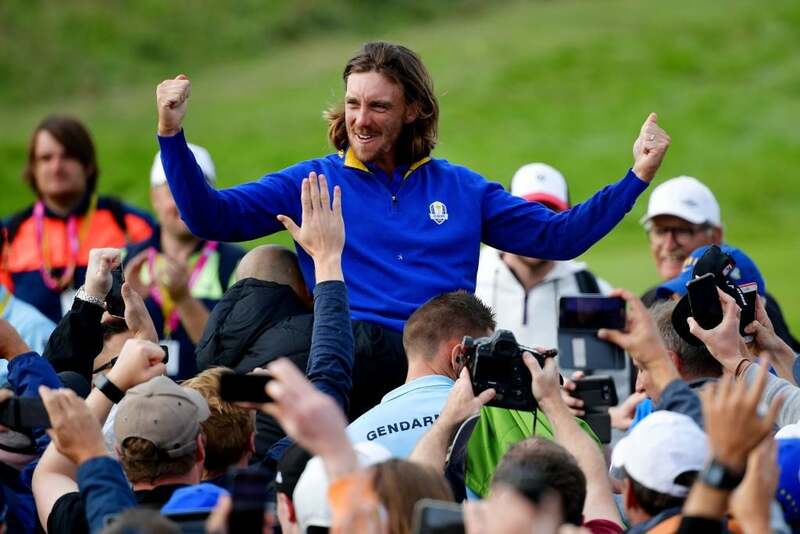 Golf consistently produces upsets such as this year’s Ryder Cup in France. Why does this always seem to happen? I’m not a gambling man, but golf has to be the most frustrating sport to place odds on, it’s way too complicated to figure out who is going to show up that week depending on the golf course set up, weather conditions, physical game and most importantly, championship mindset. Attitude, mindset and excitement channelled the right way allows you to accomplish things you might think are impossible otherwise. The European Ryder Cup team shows this time and again versus the Americans at the team event. These guys love playing together, they have the team chemistry, support each other and help each other. The Americans, they are all individuals, which is why they do well on the tour. This doesn’t translate to success when you have to put your ego aside, play with others that you might not care for. Outside of the money being bigger on the US PGA Tour, it shows how different the two tours are when it comes to the daily and weekly grind on the two tours. Rumor has it, guys in Europe travel and hang out together outside the round week to week. The Americans fly around in their private jets for the most part – unless your Spieth, Rickie and JT, they typically share the charter flight. The home team captain’s job is to set up the course in a way that puts his team at an advantage against their opponents. After the final team players were announced the Europeans and Americans were nearly dead even “strokes gained” in all areas except accuracy off the tee box. The statisticians said the European squad would hit 54 more fairways for the 3 days as a team than the Americans. If you watched the play throughout the week, you might have noticed that the Americans hit driver nearly every tee shot…. USA hits less fairways overall, then they are hitting drivers when Euros are hitting the best club to find the fairway… well now we see the result, USA gets whooped! I also suspect Captain Bjorn prepped his guys on how to play the course based on how he was going to set it up. Mr. “Captain America”, Patrick Reed is a perfect example of why Team USA lost. After taking the defeat Sunday, Reed and his lady were quick to get on their twitter and deflect blame away from Reed’s terrible play during the four ball matches, because Jordan and Furyk broke up the “team chemistry”. Personally I don’t think their team chemistry would be the same after Reed’s comment during a tour event… when not receiving the ruling he wanted, he told the rules official “just because my last name isn’t Spieth…” If I was Jordan, I wouldn’t be too happy with good ol’ Captain America, especially since he was nice enough to put up with Reed in past events. Jordan’s best friend, Justin Thomas was on the 2018 squad and they went 3-1… Reed reportedly shot 85 on his own ball during one of his matches, while Tiger shot 31 on the front side while paired with Reed. So there’s that… no more Captain America (Thank you baby Jesus) I don’t want him representing me and other Americans as the face of our country.